BHE custom classic secretary desk with glass doors on top, drop down desk top and lower drawers, shown here in solid pine with interior & exterior cherry stain & seal finish. Also available in Traditional wax finish. 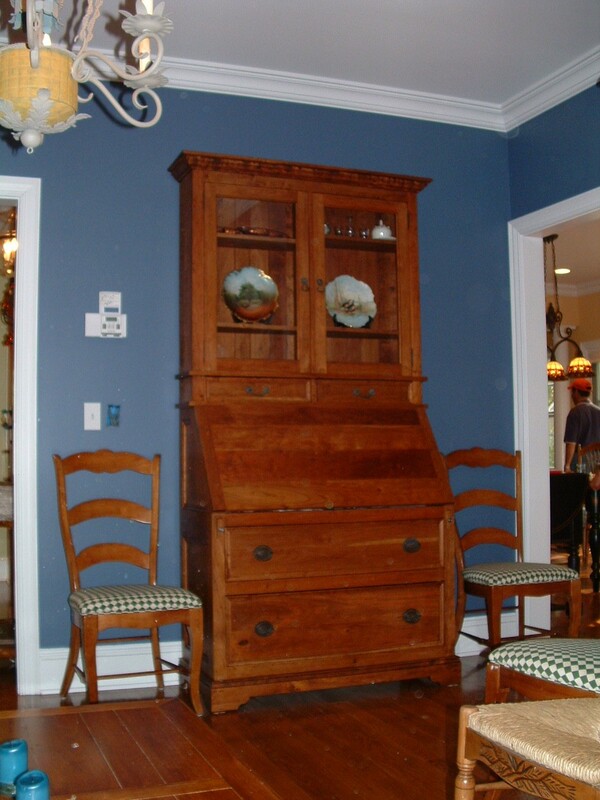 Call us at 973-443-0303 to make an appointment to design the secretary desk that meets your individual needs.